@TwoListen. You ask, and I shall provide. I agree that the legs look a bit loopey at that angle! Not a huge update but it is always nice to get a bit of colour happening. 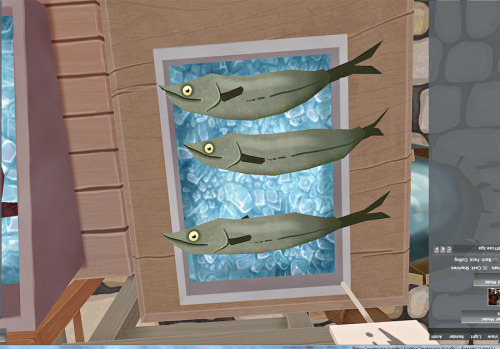 Sad fish is very sad. These guys look a lot happier about their predicament. 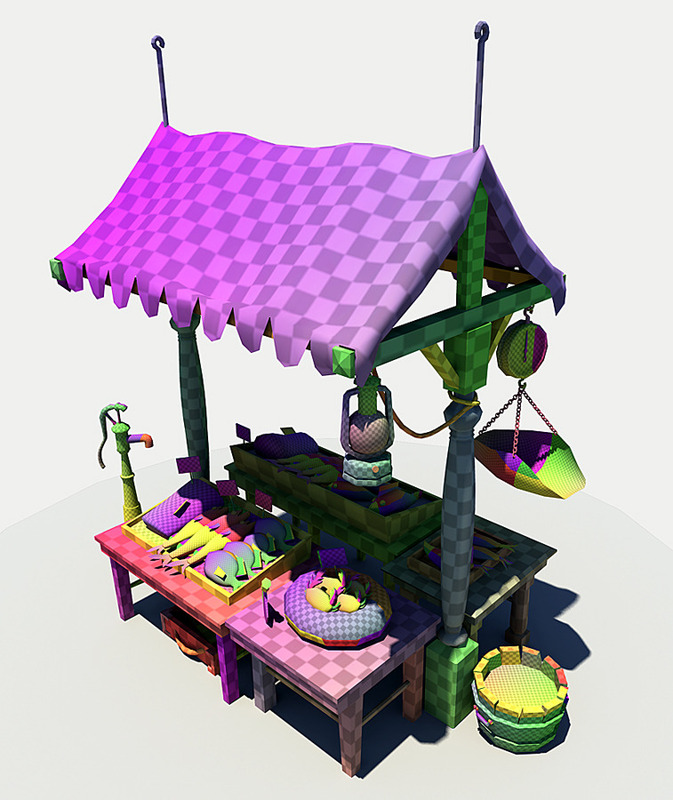 I have finally finished the fish stand model and the my little pony models! Just need to get them on the website. 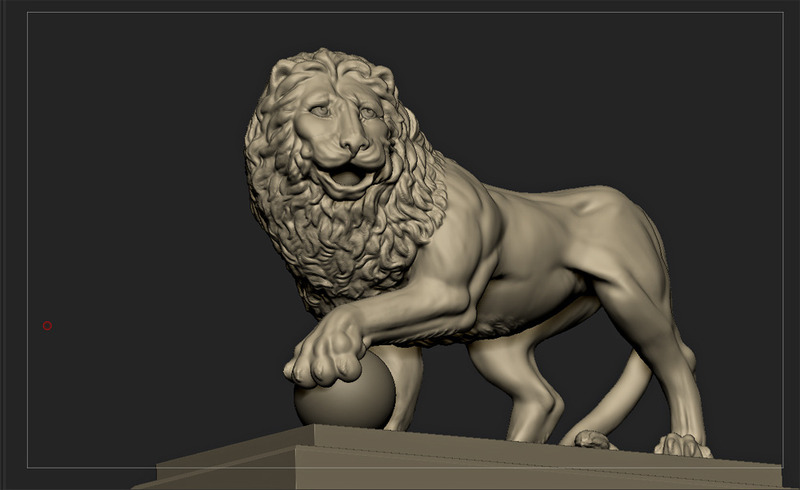 In the meantime, a quickie "relaxing" sculpt of a lion statue... step one! Good work on the ice! Interested to see where that piece will end up. Your stag turned out awesome, keep it up! @LensFlare - thank you. 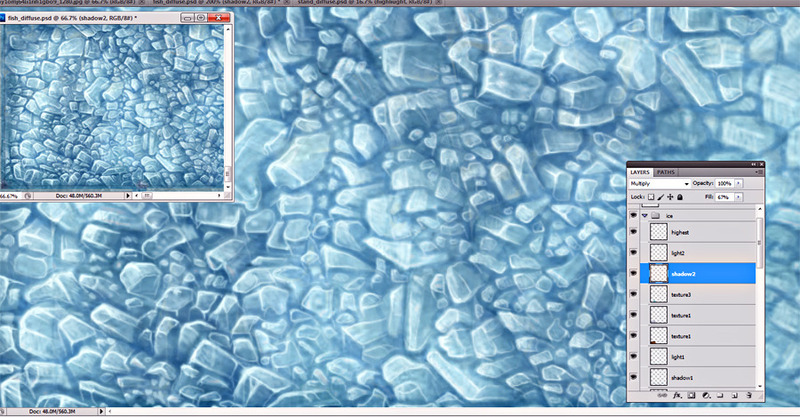 Ice is all finished and I never want to look at it again - will be posting the final model later. Today's scribble. Face still needs serious work! 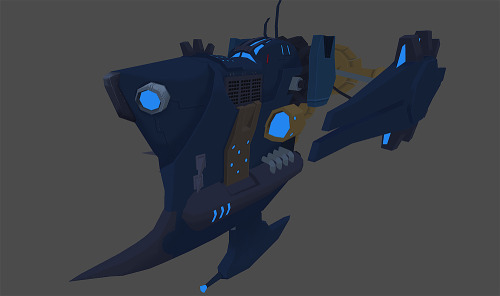 A bit more work on this dude. Getting there, but still not too happy with his face yet. 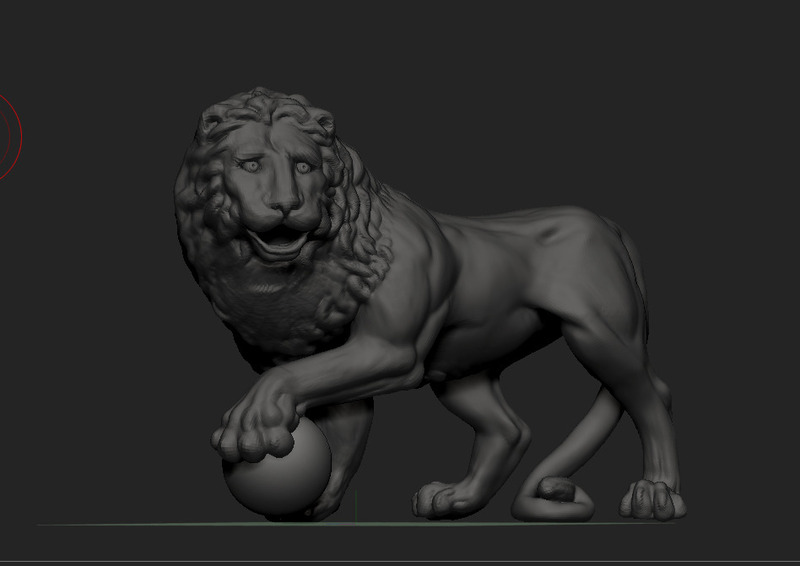 Now onto the model I am meant to be working on instead of Leo here. 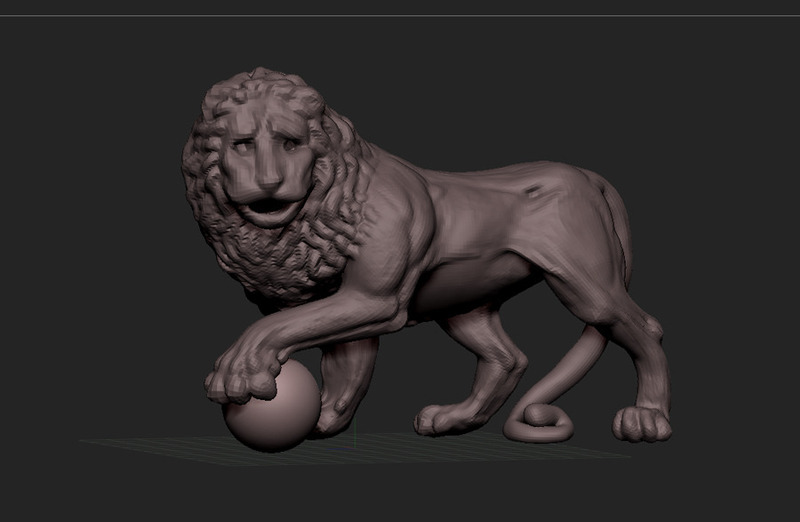 First stage of my character for short course. 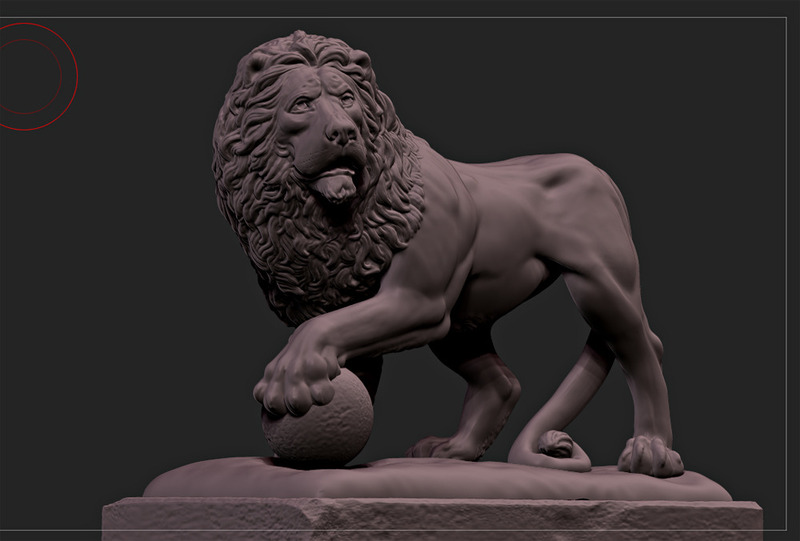 First time sculpting people - it isn't easy! 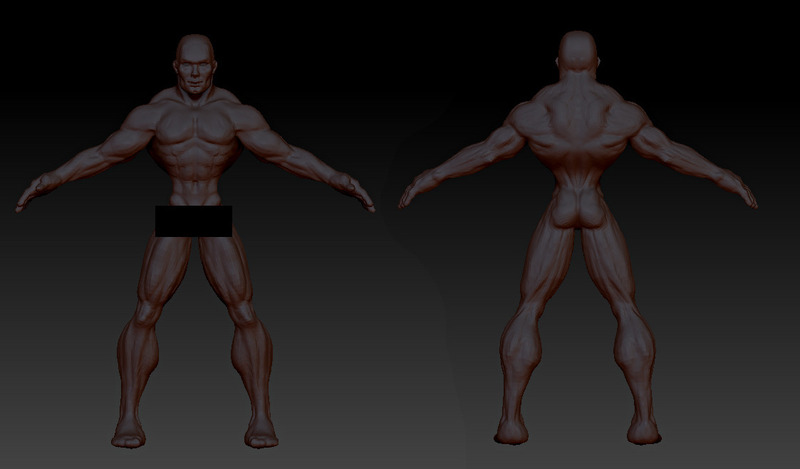 Needs a lot more work, and a lot of smoothing - those calves look painful! Revamp! New, more regal face. Just needs teef and it is time to paint him up. 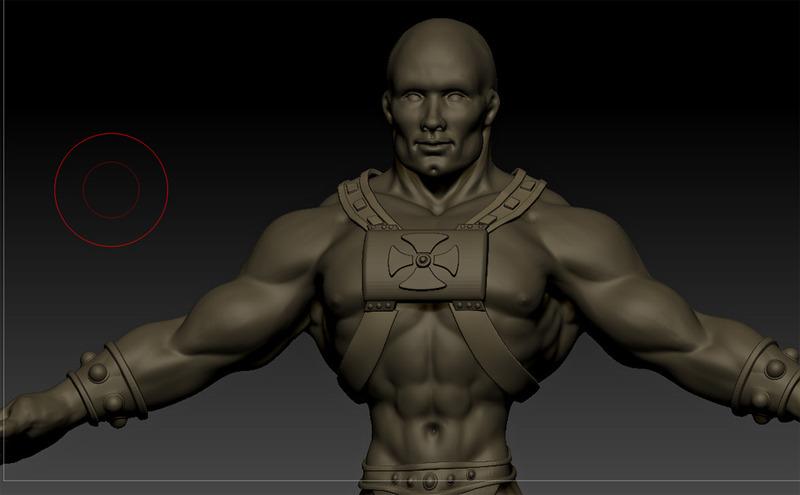 Still feeling like hell warmed up, but am falling behind on my coursework, so managed a little bit tonight; can you guess who my muscle bloke is by these bracers? 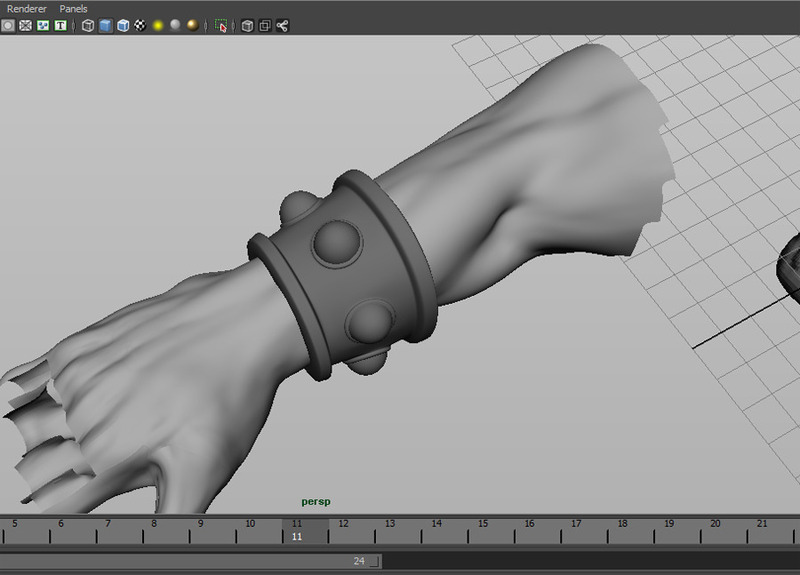 Hopefully it is a bit more obvious who I am modelling now! 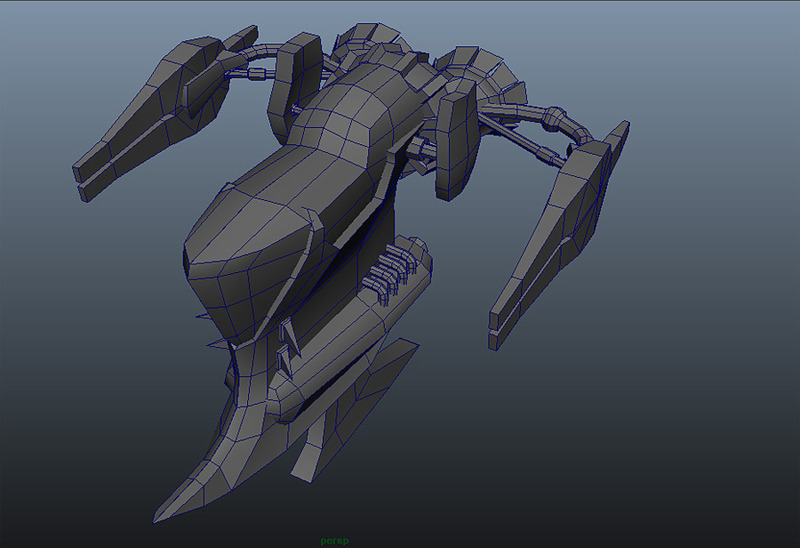 - this is a low subd version to model the hardsurface stuff onto. His thighs look sore. 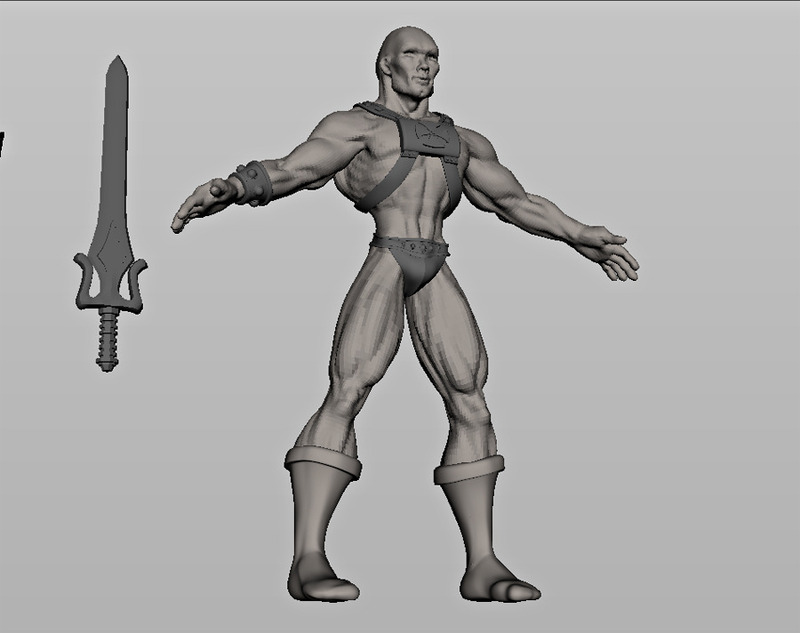 I really, really want to model Battlecat and Castle Grayskull too…. 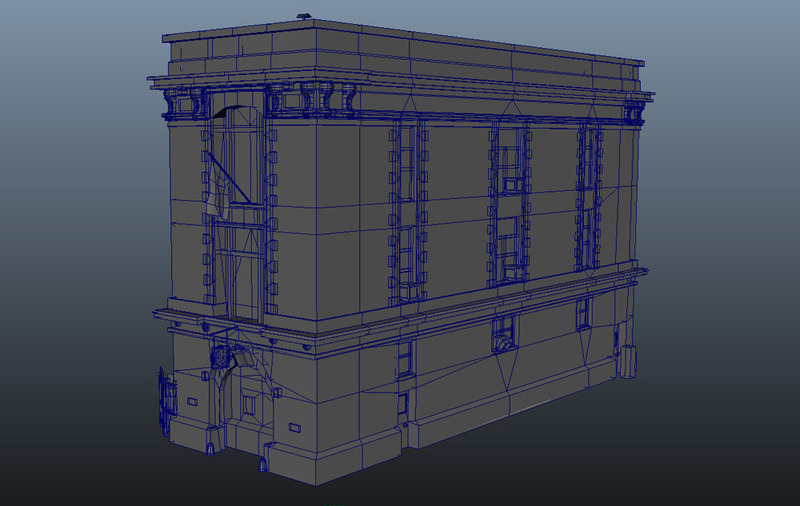 Unwrapping UVs: Still more fun than watching the Twilight movies. Ha - I really like these. Are you putting any transparency on the fins or leaving it as is? @Lord Sebbingdon - Alphas for the fins! 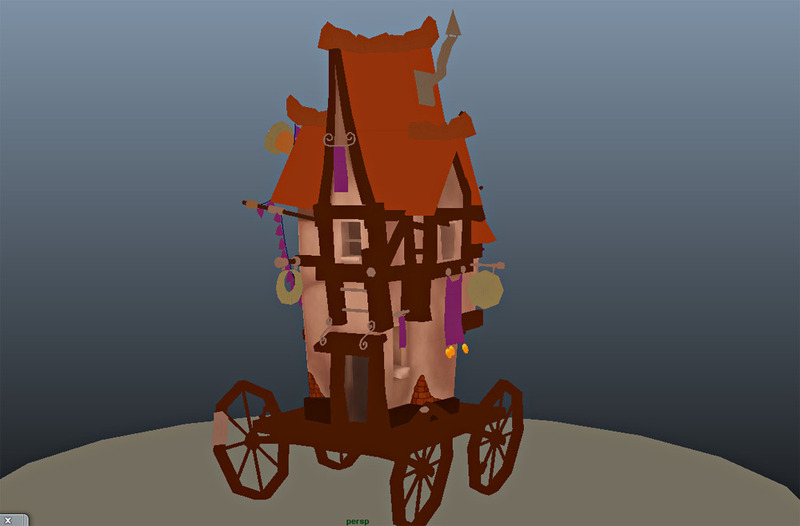 I have finished the model but keep forgetting to post it now that it is done! shall do so tomorrow. Phew. Humans are hard. Slowly, slowly. Practice, practice. Struggling with the texture a bit! Just not feeling it yet, and having trouble with the brushes not blending (but that is probably just me) - however, it's starting to come together. I am looking forward to getting to that tiled roof! I am still alive! Just! All your base colours are belong to us. Just a little bit more from tonight. Getting the details in now! 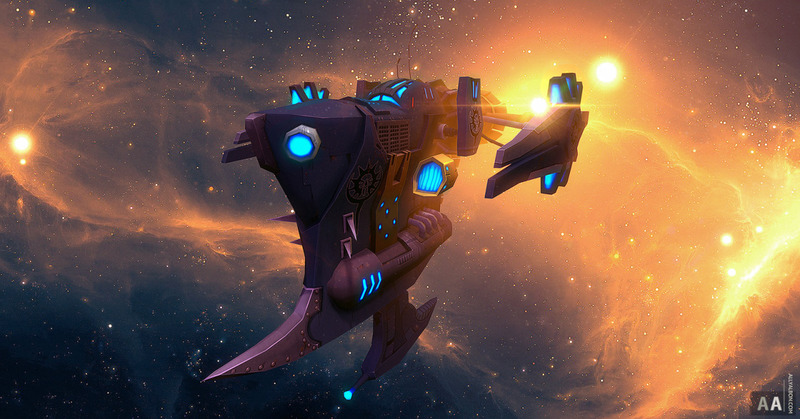 So very sleepy... just want to stay home and paint spaceships. It's looking great so far! 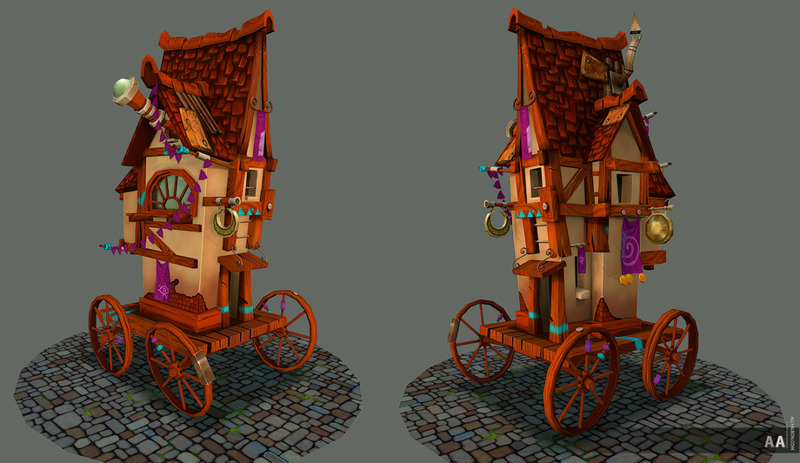 I completely forgot to upload the final version of the house on wheels! Got too tired of looking at it, I guess! That house turned out very cute. 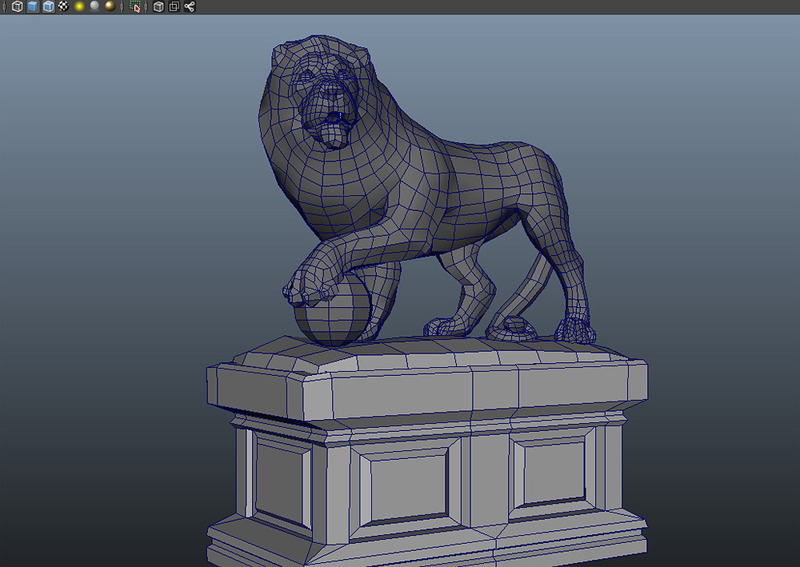 So, this is just a low-poly mesh w/ a diffuse map, and there's no underlying normal map or anything else? 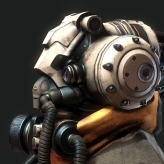 Would you ever use an asset like this in a next-gen game, or is this more for, like, mobile or something? 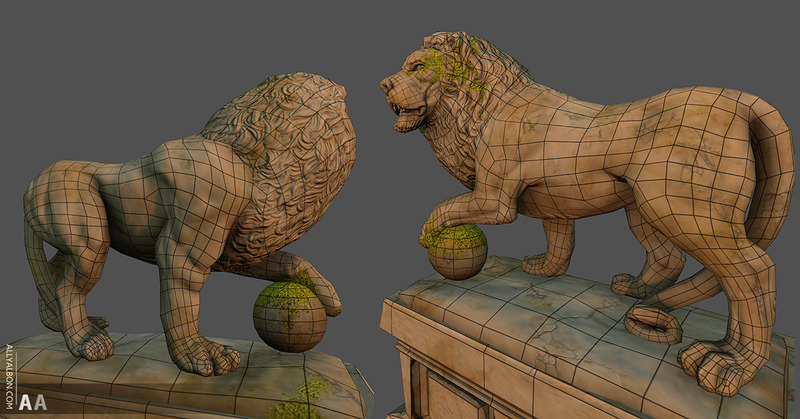 Or do props / enviro models sometimes go w/out normal maps even in next-gen? I'm still learning, but I'm surprised I don't know this yet. Wow! These are some awesome pieces. 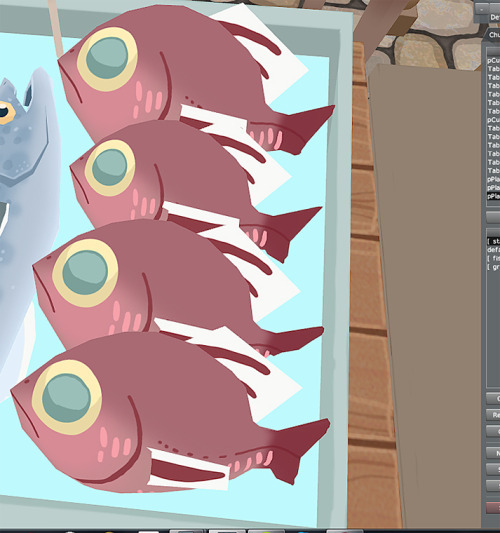 I really appreciate the diffrent themes while still using hand painted textures. Very inspiring artwork for an aspiring painter like myself. 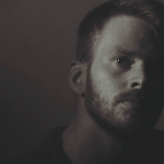 @Seantking - Thanks! 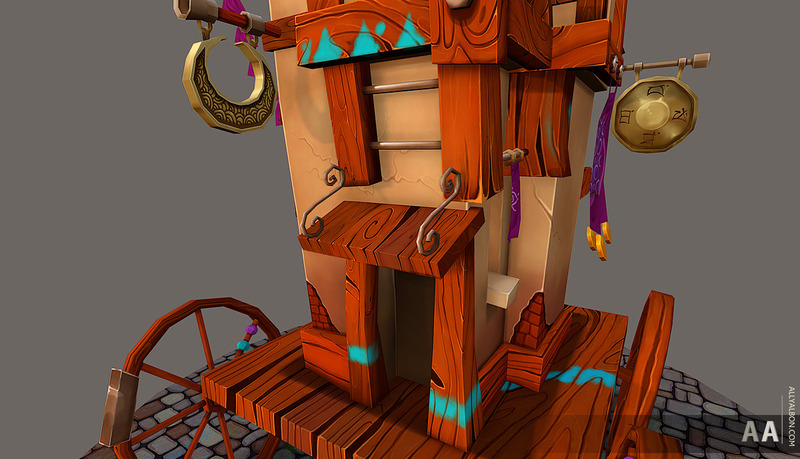 I am a huge fan of handpainted textures and want to develop this into a real skill of mine. Not cos I want to work for Carbine one day or anything. Ahem. Starting a new project! 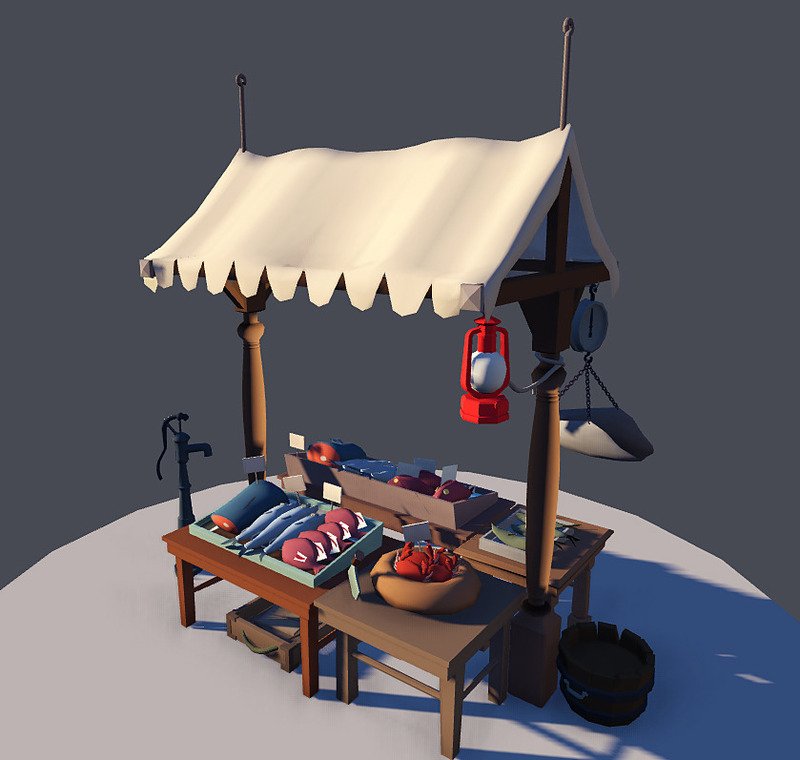 This is going to be a bigger challenge as it is going to be a collection of assets rather than just a lone object, to put into a small diorama (Going for normal maps, photo texture this time). Had this one in my head for a while and it’s going to be fun, fun, fun! A leedle bit more. Head hurts. Cars hard. A bit clearer what I am building?! 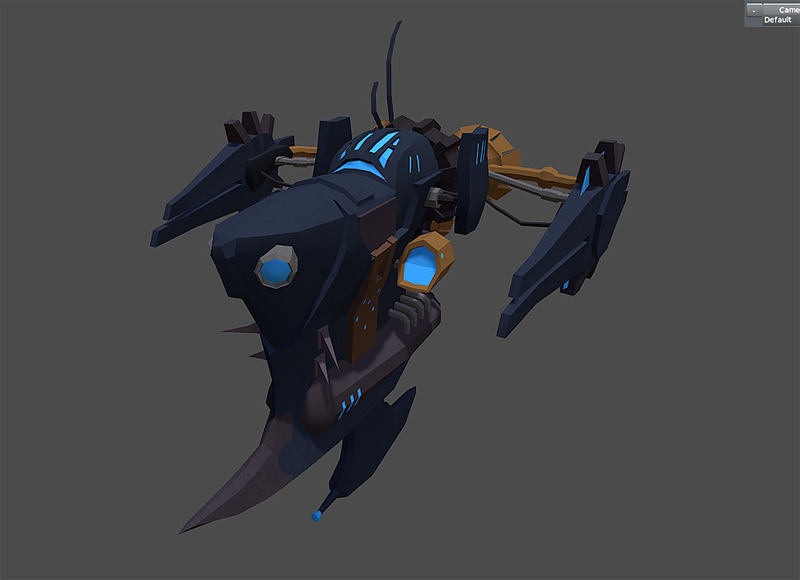 Final version of the Crippler – fan art from Wildstar! (I am restricting myself from playing it yet as there are already too few hours in the day). Based on concept art by Cory Loftis. Happy with the outcome! If you would like to see more/better images, please visit my website. @Carabiner - thank you so much. 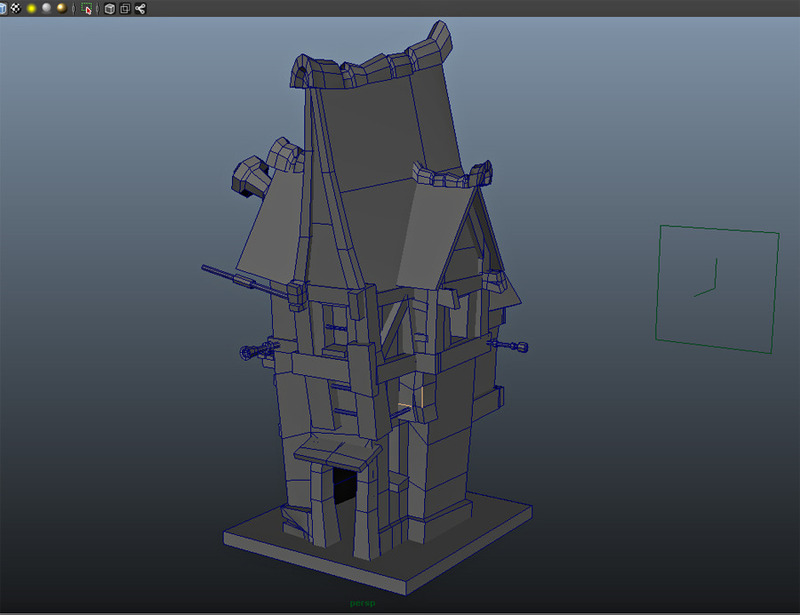 Because I am self-teaching, I want to make sure that the base modelling is good quality before learning the "fancy" stuff. And yup, am female, and it is great to see more and more gals joining in the fun! 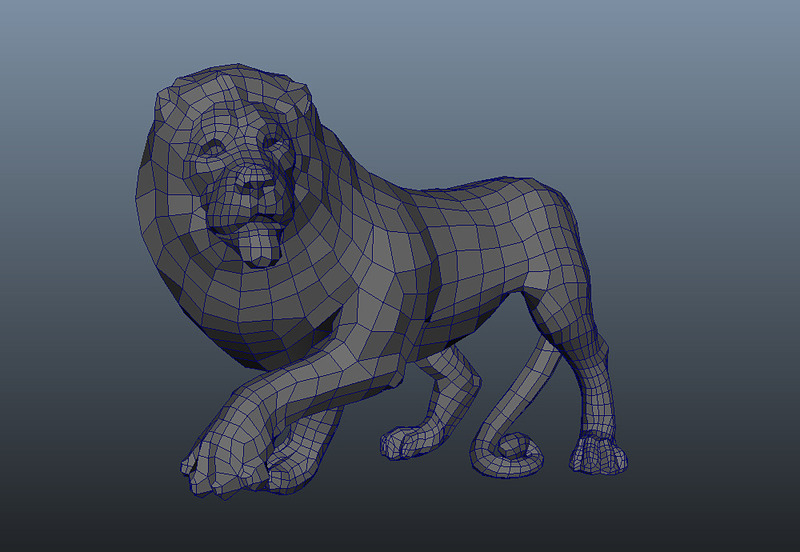 Lowpoly: done, learning retopologising in Zbrush: done. 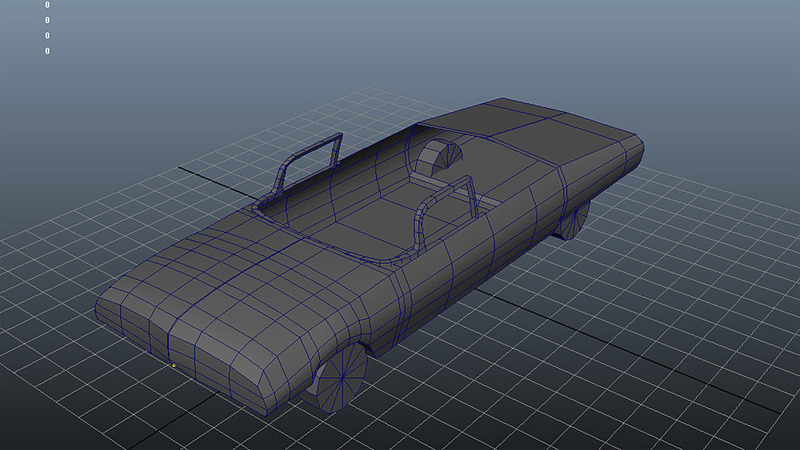 Slightly higher poly than I would have wanted, but it will do. Now onto uving! 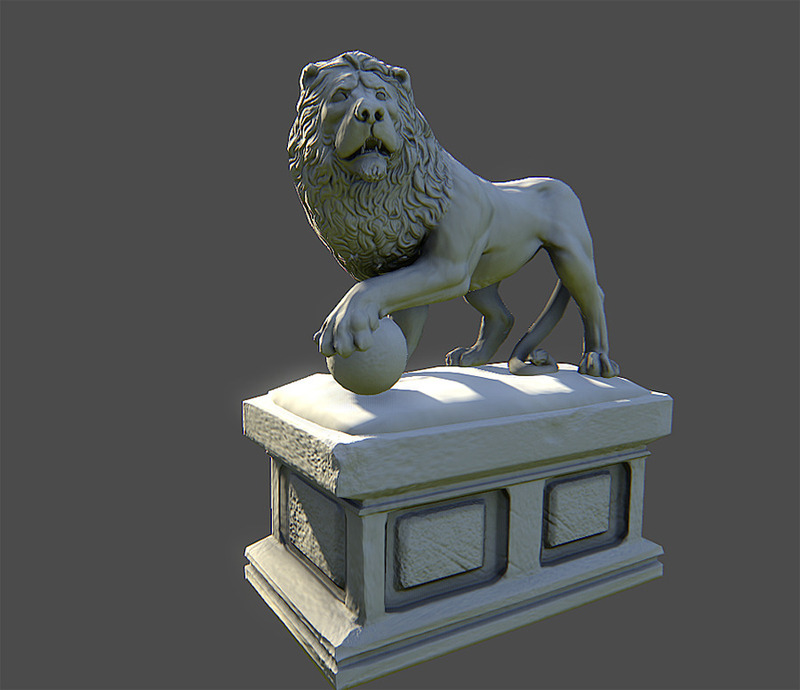 3,300 polys, (next gen attempt) 1024 diffuse and normal map. 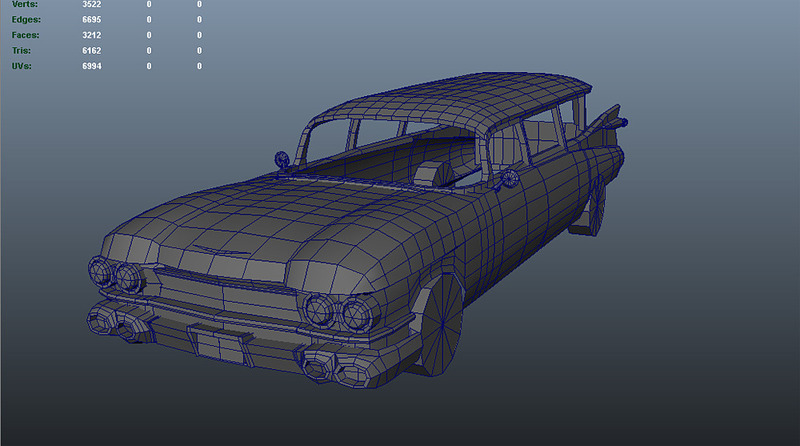 Every model I make, I try to learn something new. This one was brilliant practice! 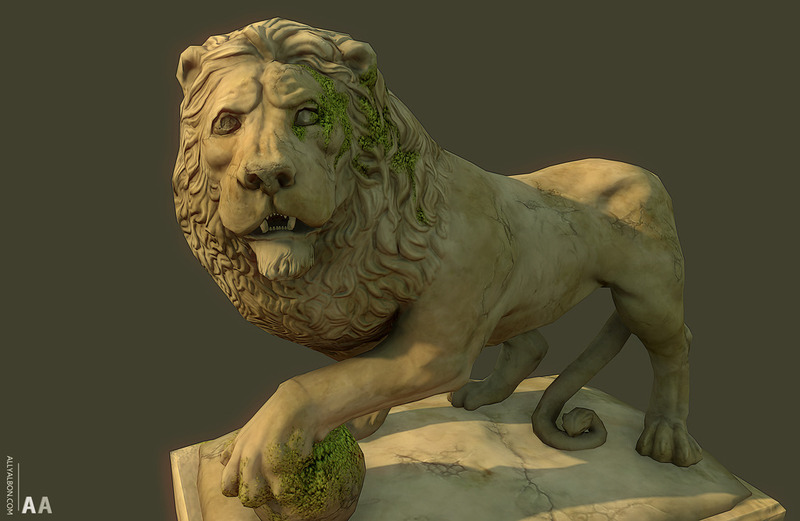 I learned how to retopologise in Zbrush and tidy up the low poly in Maya, use Xnormal to create a normal map and AO map (LIFESAVER because anything I do to create AO in Maya crashes the damn thing), how to update normal maps using painted details in photoshop (cracks on lion, moss etc) and using photos to create textures. Not to mention all the other little bits I picked up, and little problems to be solved. Was awesome how much I actually learned. Now to put the new skillz into practice for the next piece. Fab. What's that lit and rendered in? 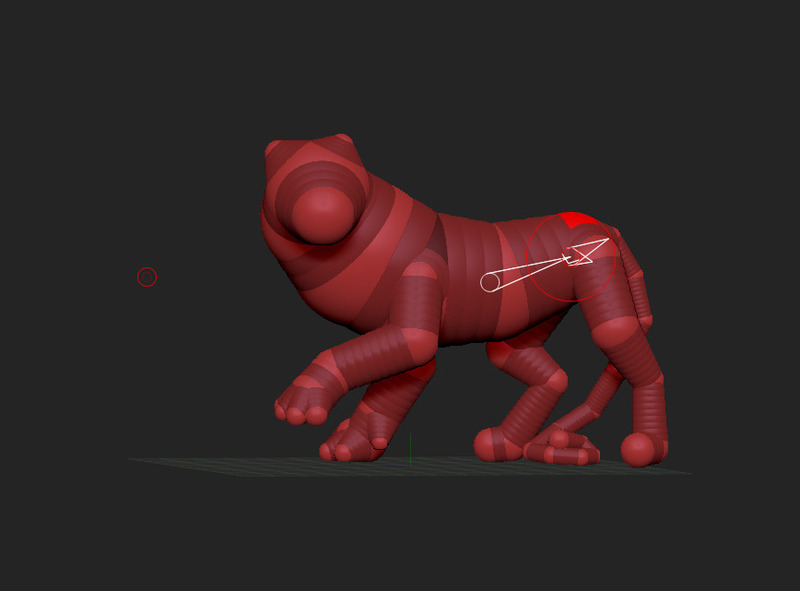 Maya or Zbrush viewport only? Hi Pableaux - it is a Marmoset (v1) render! 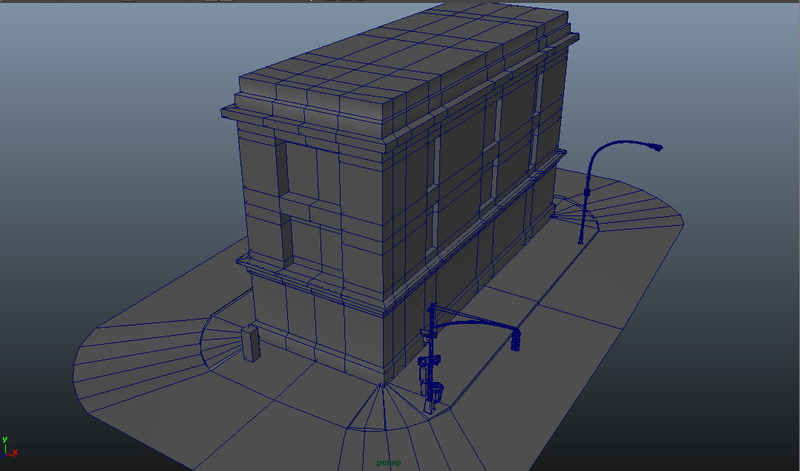 Nothing terribly exciting yet, just basic blockout for the scene. Been a bit distracted the last few days so really not much done yet, hoping to settle down and get cracking soon. I just looked through your whole sketchbook. This is quality stuff! You are definitely finding your style! Are you learning on your own or through a school? 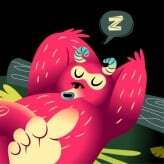 Hi Kdawg - thanks for your kind comment - I am learning by myself, with help from digital tutors and other online courses and it's hard work but so much fun! Procrastinating this week! 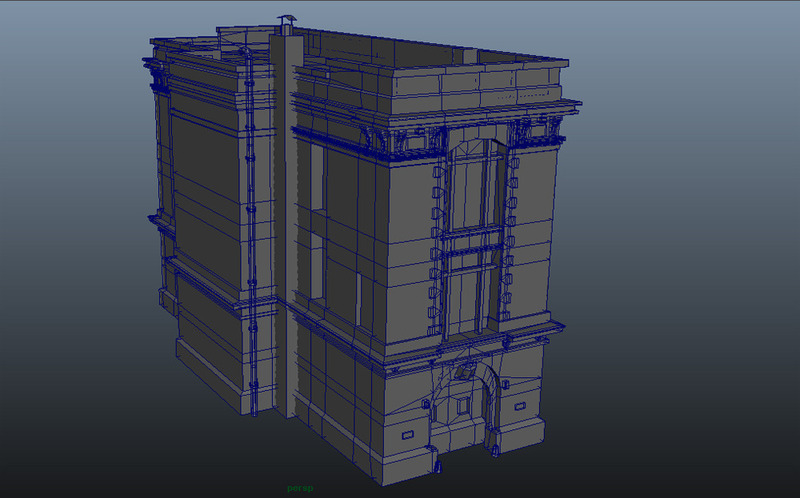 But have managed to do a bit more work to the firehouse. Everytime I look through your sketchbook and land on the last page I see Heman. Did you ever finish him? I'm kinda curious what he looks like now. 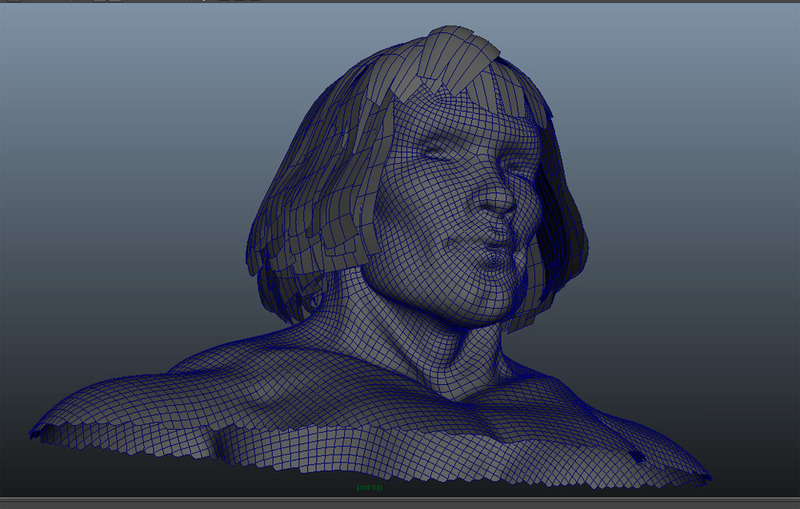 Hi Francois - yep, Heman is still slowly coming together. 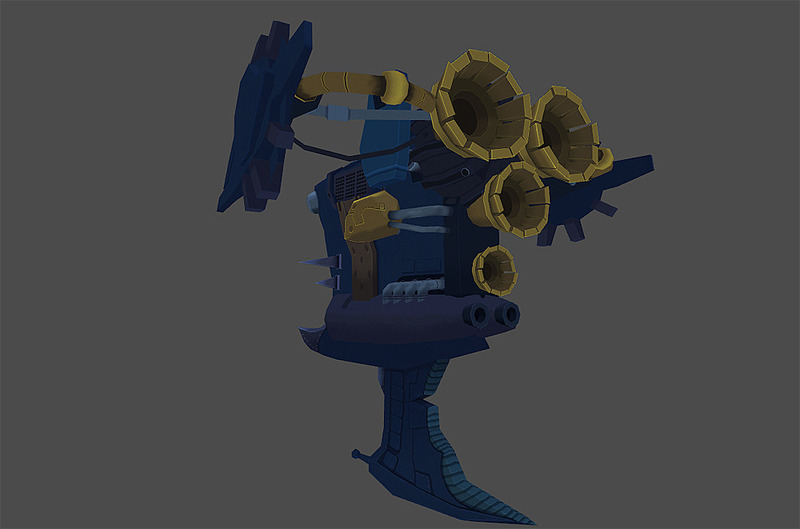 He is taking a bit longer as I am trying to concentrate on props/enviro atm but he will be back soon, promise! 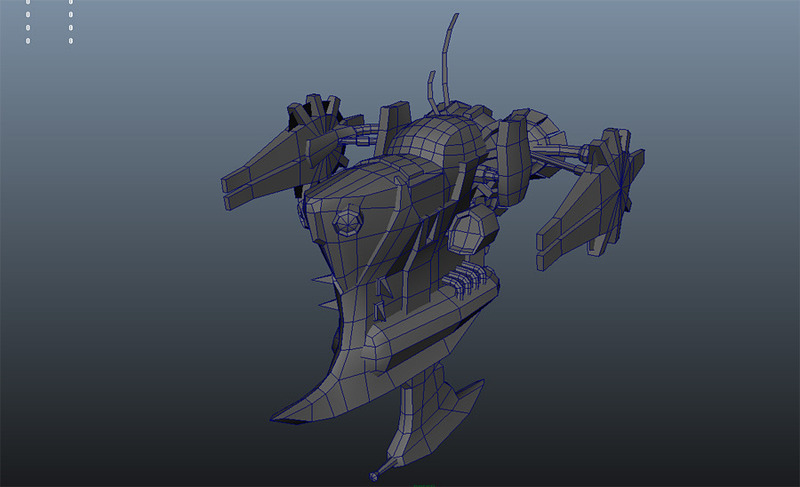 High poly model finished! 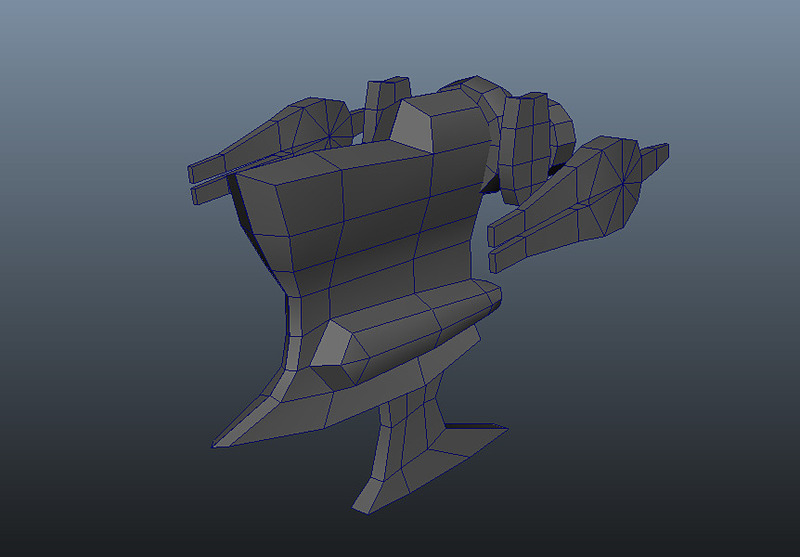 Going to try and throw together a low poly for the weekend, then it is time for those lovely uvs to be unwrapped. 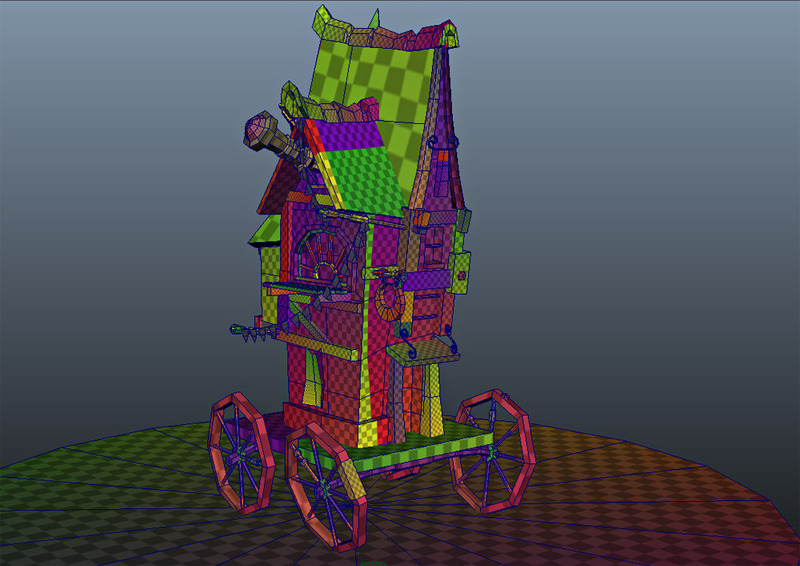 Hoping to get a nice normal map on this one!